Will HAL emerge as helicopter major? On January 3, Prime Minister Narendra Modi laid the foundation stone for the Hindustan Aeronautics Limited’s (HAL) upcoming helicopter’s facility at Tumkur in Karnataka. Speaking on the occasion, Modi said, “I want companies such as HAL to help the country reduce dependency on overseas suppliers.” HAL is expected to manufacture 600 helicopters in next 15 years. “It is no ordinary facility as the world’s attention would be focused on it. I expect the indigenous helicopter under ‘Make in India’, to fly-out by 2018. Nearly 4,000 families, direct or indirect will benefit from this largest ever investment of 5,000 crore in Tumakuru”, he said. “I believe that HAL has good manpower and technical knowhow to fulfill the future needs”, he added. Presently, HAL is working on 3-tonne class new generation light utility helicopter (LUH) to cater to both civil and military transportation requirements. Under development since 2009, LUH equipped with glass cockpit, powered by Ardiden 1U/Shakti 1U single turbo shaft engine, will fly at 220 kmph, with a service ceiling of 6.5 km and a range of 350 km with 400 kg payload. It can also be deployed for reconnaissance and surveillance. It will replace Cheetah and Chetak helicopters operational with Indian armed forces. After its maiden technical flight in September, 2016, the chopper had its maiden flight on May 22, 2017, which lasted for about 22 minutes. LUH will be manufactured, tested and overhauled at the upcoming Tumkur helicopter facility. To replace its obsolete Cheetah and Chetak operational with Indian Forces, till LUH is ready, India will manufacture 200 Russian Ka-226T helicopters. An intergovernmental agreement was signed between the two countries in 2015. The project will be executed through a joint venture between HAL (50.5 per cent) and Russian Helicopters. In September last year, HAL bagged contract for supply of 41 advanced light helicopters (ALH) Dhruv to the Indian Armed forces. The 6,100 crore contract is in addition to the March order for 32 Dhruv for Indian Navy and Indian Coast Guard. 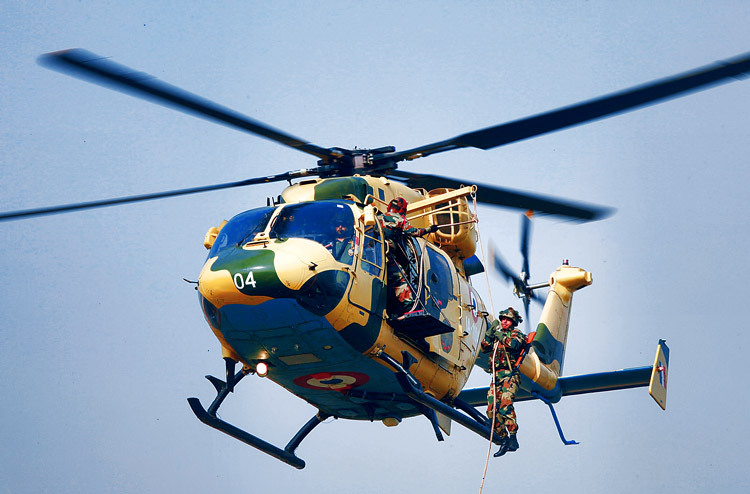 HAL designed and developed Dhruv is a multi-role helicopter in the 5.5-tonne weight class. More than 200 helicopters have been produced so far. The Armed version of the Dhruv, named Rudra, equipped with turreted gun, rockets, air-to-air missiles for infantry support and anti-armour role. 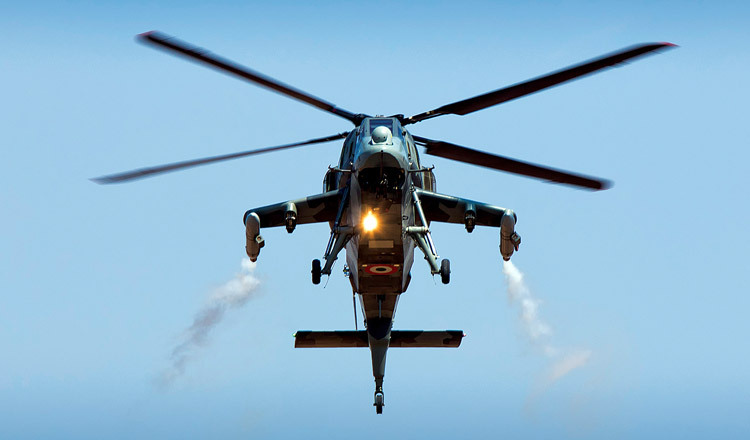 Based on the Dhruv, Light Combat Helicopter (LCH), armed with turreted gun, rockets, air-to-air missiles, on January 31, carried out the first flight with its home-made Automatic Flight Control System (AFCS). In December last year, HAL received a Request for Proposal (RFP) for 15 Limited Series LCH. With orders for under development and under production choppers, HAL is rapidly making strides in giving India self-reliance in the area of light helicopter segment. If things continue to move in the same speed, HAL may emerge as an Asian helicopter major.